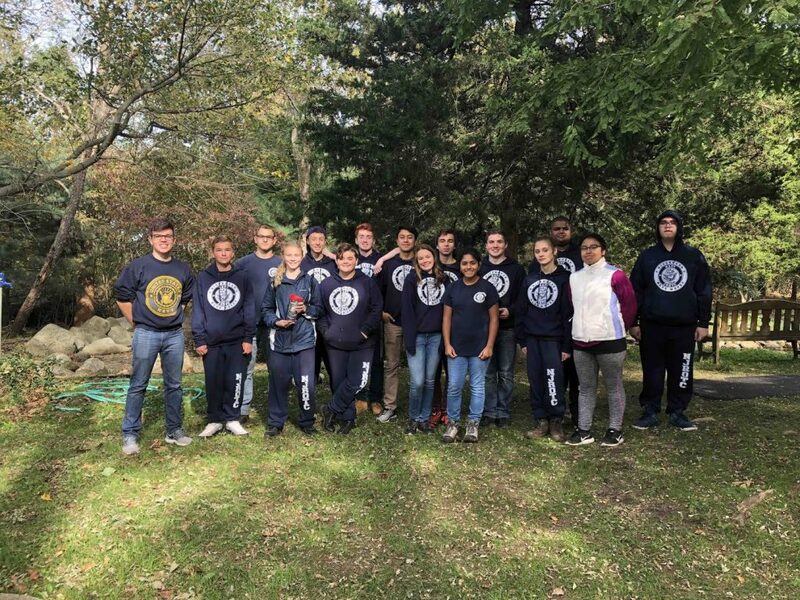 A part of their mission to give back to the community, members of the Riverhead High School NJROTC participated in three community service activities during the weekend of Nov. 4. The cadets spent time cleaning up the Association for the Developmentally Disabled’s Sensory Garden, located on Sound Shore Road in Riverhead. Additionally, cadets helped serve and clean up at the annual Rotary Club Pancake breakfast and VFW Pancake Breakfast. Photo caption: Riverhead High School NJROTC cadets helped clean up a Riverhead Town garden over the weekend in addition to serving food at the Rotary Club and VFW Pancake breakfasts.